Here you will find our SEN Information Report (Local Offer) along with additional information regarding Special Educational Needs and Disability (SEND). Core Assets Children's Services have recruited locally and are delivering Independent Support for Surrey County Council, in partnership with SSIASS, Information, Advice and Support Service for Surrey. For more information, please refer to the PDF attached below. Have you started or completed an EHCP? POET is a nationwide survey to measure how your local authority is performing against others. We realise that you may have been asked several times, by different people, to talk about your experiences of SEND in Surrey. We will shortly be letting everyone know the results of the satisfaction survey we launched in July. In the meantime we would urge you to take 10 minutes to complete the POET survey as this will benchmark Surrey against other LAs. from all of us at Family Voice Surrey. Want to get involved? There are opportunities for all parents who want to make a difference, no matter what your skills, availability and interests. Go on....send us an email! We'd like to wish everyone a calm and trouble-free Christmas and reassure our parent carer members that we will continue to work hard to help improve SEND services across Surrey in 2016. Link to the December 2015 E-Letter. This guide is an introductory booklet for all stakeholders with an interest in the changes to the special educational needs and disability (SEND) support system under the Children and Families Act 2014. It is intended to provide a brief introduction to some of the main changes and how Surrey plans to implement them. For example: If a child or young person is identified as having SEN, the support should take the form of a cycle of assessing, planning, doing and reviewing. the Graduated Response is clearly outlined in a Pathway on pages 10 and 12. Link to the "Guide-to-Surrey.pdf" here. Wave 1 is the ‘quality first teaching’ which looks at the learning needs of all the children in the classroom. Before any additional provision is considered it is important to look at what is already available to all pupils through differentiated work and an inclusive learning environment. While some strategies / approaches may have previously been recommended for a particular pupil group it is probable that they will be of benefit to many more children in a class. The more inclusive the classroom, the less the need for additional to or different from interventions. Link to the "Wave 1 - The Whole School.pdf" here. 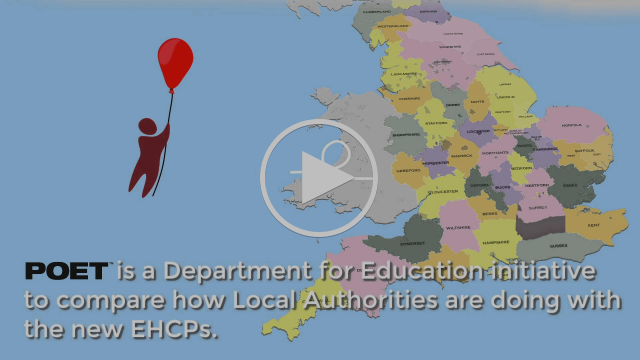 South East Special Education and Disability are seven local authorities who have been trialling the new legislation ahead of September 2014. This site contains many useful links for parents needing additional support and guidance. Link to the "South East 7 Pathfinder" Website here. Contains information about services relating to special educational needs, disabilities, education and more.